What is GTi Challenge all about? 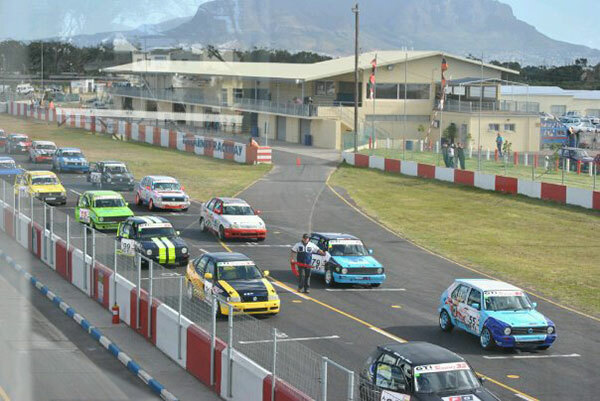 GTi Challenge racing is a division of the GTi Club of SA, which offers an affordable means of getting into motor racing. It is a one make series catering for all VW products. The series started in Cape Town in 1999 and at the end of 2000 the first Gti Challenge Champion was crowned. Restrictions on things like number of tyres used, power limits, minimum weights etc. not only make the series more affordable but also make for very close and exciting racing. So far GTi Challenge entry levels for 2010 have been very pleasing with an average of 34 cars per race entering with an all time high of 44 entries for the 23/10/2010 race meeting. Just as pleasing has been the improved spread of cars across all classes. The equal spread of cars across classes A, B, & C also means higher levels of competition as more drivers are now able to compete for overall honours. In 2009 we were also very fortunate to be part of a project sponsored by Women in Motorsport to promote motorsport amongst ladies. In 2010 we have two ladies competing in our series. The committee will continue to strive to make GTi Challenge a category of racing that is representative of Cape Town’s community. Western Cape regional motor sport is experiencing a revival with ever improving attendance figures as well as record levels of entries in the various categories. This is due to a number of positive factors including improved management of Killarney, improved facilities at Killarney and increased levels of support from all sectors of the local community. As a grass roots motor sport category, the committee continues to ensure that GTi Challenge still represents the best possible value for money for the amateur driver as well as an entry level category for novice drivers. Furthermore GTi Challenge is about friendships, family and camaraderie. On the track it is every driver for him/her self but off the track great friendships have been formed. Its about helping a fellow driver work on his car or lending him parts to get his car fixed for the next race of the day. Should you be interested in joining GTi Challenge Racing or finding out more about us, visit our website at www.GTichallenge.co.za or contact Zaki Hendricks on 072 352 6616 or e-mail zaki@wheelworx.co.za.